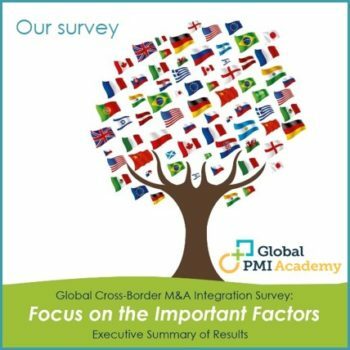 Global PMI University – the academic and research arm of Global PMI Partners – recently conducted a survey exploring the factors affecting cross-border M&A integration program success, in collaboration with Sheffield Hallam University (UK). It is one of the data sources for our book, Cross-Border Mergers and Acquisitions. Global PMI Partners Partner, Andrew Scola has authored a summary of the Survey Results and we’re pleased to share these with you.